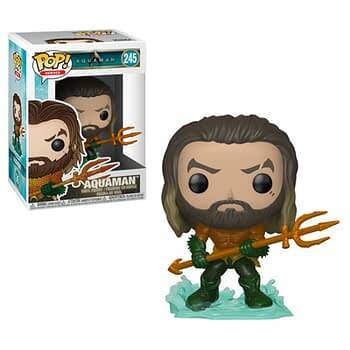 Aquaman is taking over theaters in December, but ahead of that in October we will see the release of tons of products from Funko! 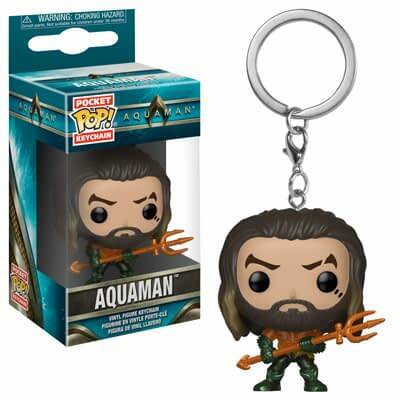 Keychains, Pop, Mystery Minis, a little of everything. 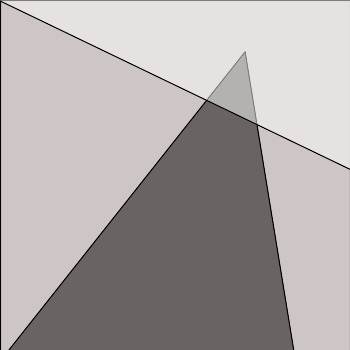 I am sure there will probably be even more, but let’s take a look at what they revealed today. First up: two new Pop Keychains. 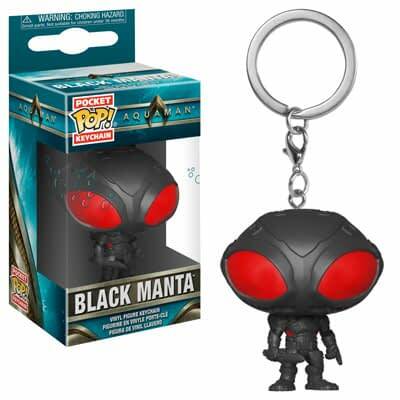 Aquaman and Black Manta can now hang on your keys! 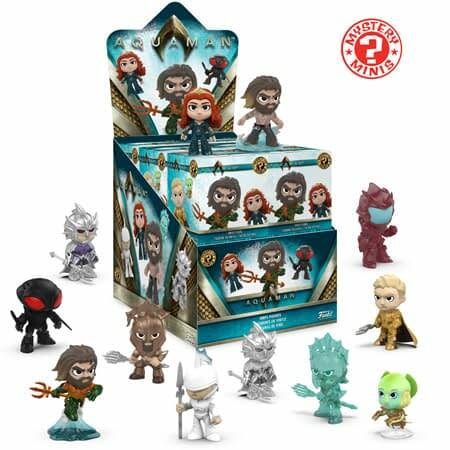 Mystery Minis will also be available — 12 figures in all. Looks like no exclusives this time, so if you purchase a case you should be able to get a whole set in one shot. 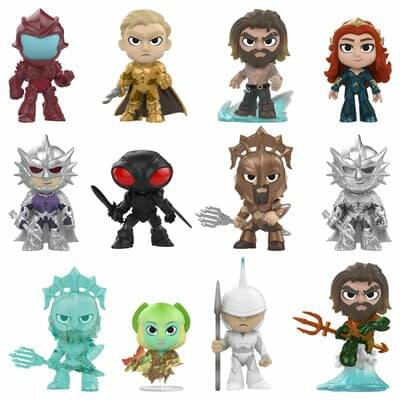 Looks like some great figures, with Princess Scales and the Aquaman in his suit standing out. 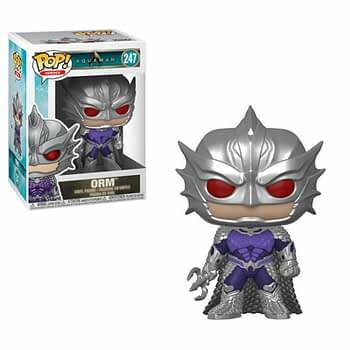 Lots of Orm too. For Pops, there will be five regular releases. 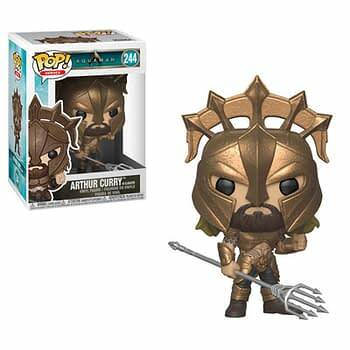 Mera, Orm, Black Manta, Aquaman, and Arthur Curry in battle armor. 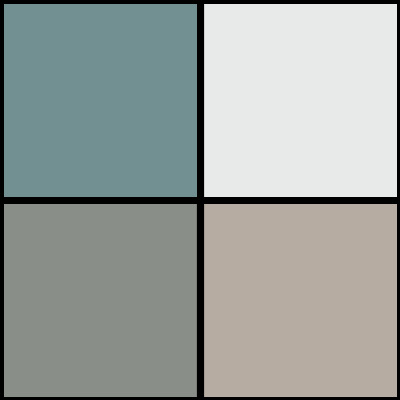 Again, all of these look great! Armored Arthur looks particularly good. 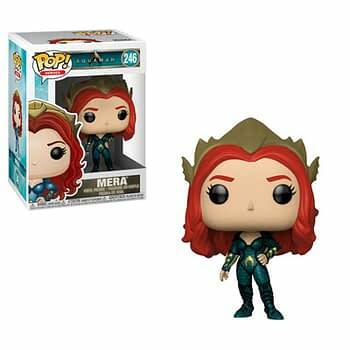 I am a little sad that Mera is not getting as much love as Orm of all people. 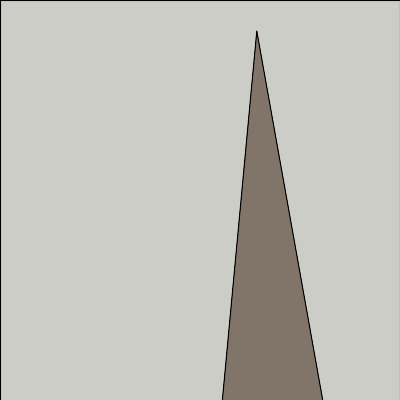 That is very surprising. Four exclusives will be around as well. 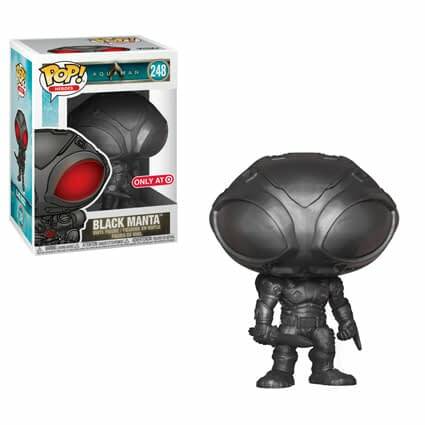 A patina version of Arthur Curry and a metallic version of Black Manta will be at Walmart (if you can actually find Funko at Walmart these days), Mera in a very colorful gown will be available at GameStop, and an all-black version of Black Manta will be available at Target. 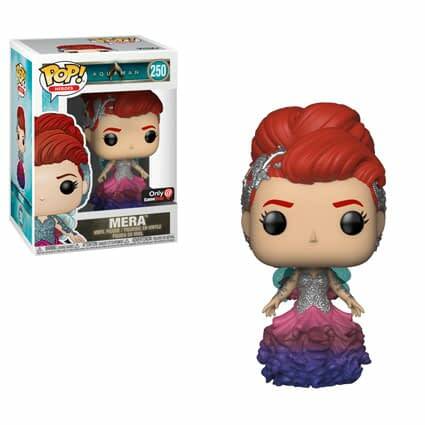 Again, I wouldn’t be shocked if we get even more announced products and exclusives later. 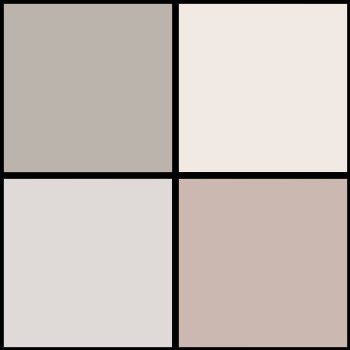 But for now, these will all be in stores in October. 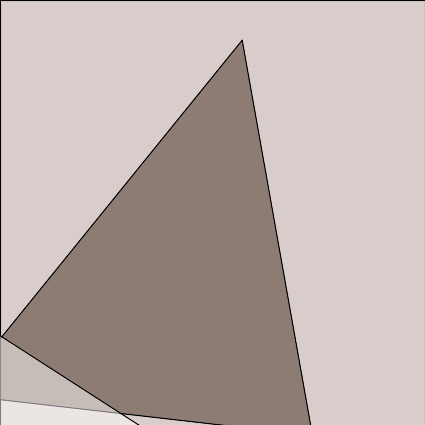 You can even preorder them here. Funko Round-Up: Venom Pop Tees, Veep Pops, and Guardians of the Galaxy Pops! Funko is Celebrting the 25th Anniversary of Nightmare Before Christmas!